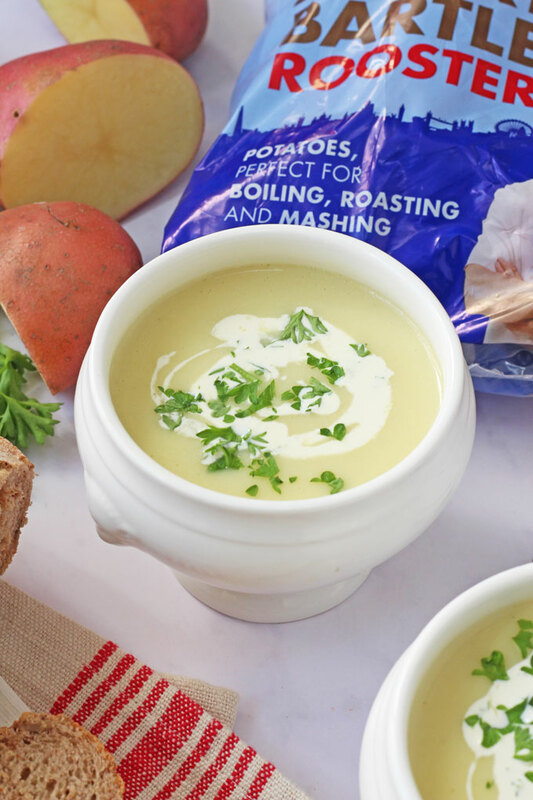 Delicious, filling and comforting Cream of Potato Soup, a traditional recipe from the 1960’s made with Albert Bartlett Rooster Potatoes. It’s that time of year when I’m starting to think about comfort food; proper bone warming food that you look forward to coming home to. 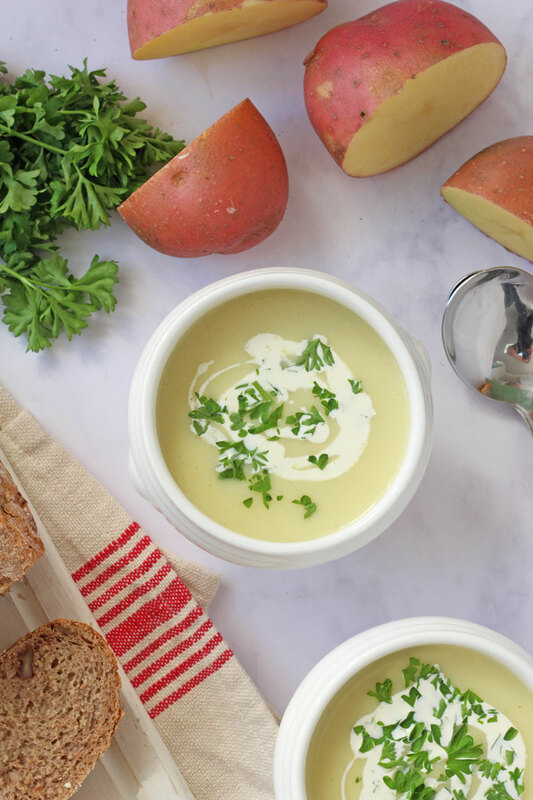 And there’s nothing more warming or comforting than a big bowl of simple potato soup! 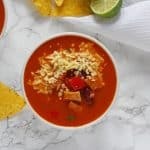 To make this recipe I’ve teamed up with Albert Bartlett who are celebrating their 70th anniversary this year. The company was originally established in 1948 and are now one of the leading suppliers of fresh potatoes in the UK. 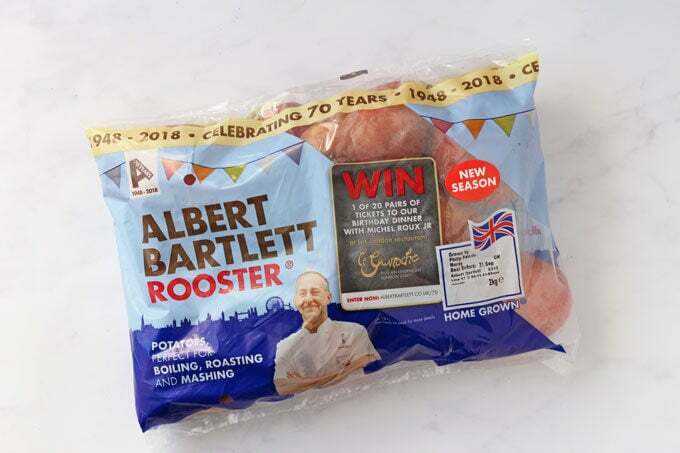 To celebrate their anniversary Albert Bartlett have created these special retro packaging for their 2kg rooster bags and I’ve got involved by helping recreate a retro recipe from the 1960’s. I chose to make Cream of Potato Soup as it is synonymous with this period in history. Although rationing ended in the mid 1950’s, most households still didn’t have massive food budgets in the 60’s and the most was made of simple and cheap produce that could feed a whole family. Lunch was typically soup or sandwich and dinners mostly consisted of variations of “meat and two veg”. Throughout the rationing era home cooks learned to make the most of simple and cheap ingredients and potatoes were a staple part of the British diet during this time. 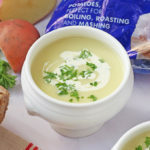 Chips were becoming very popular in the 60’s (the only takeaways were fish and chip shops) but people still cooked potatoes in their more simple form at home; boiling, roasting and of course potato soup. Butter was on the rationing list until the mid 50’s after which it began to be used more abundantly in home cooking. Nowadays it’s more common to cook in oil but back in the 1960’s olive oil could only be bought in the chemist to be used for ear unblocking! 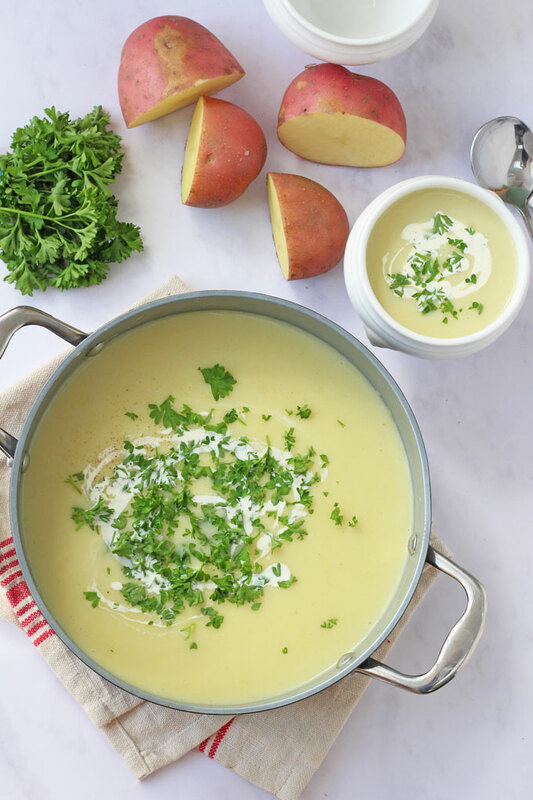 Nowadays there are so many variations and fancy additions to a Cream of Potato Soup recipe, but in keeping with the 1960’s I’ve kept my recipe simple and easy, using the same ingredients that would have been used during this era. 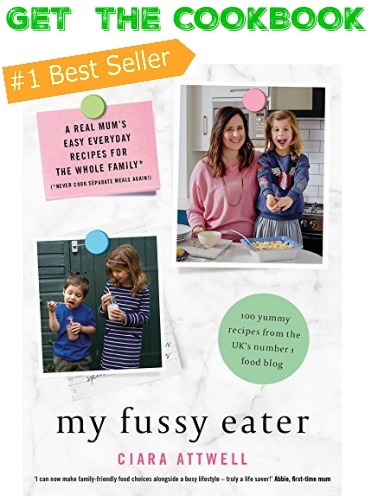 The recipe really is so easy to make. Simply fry the butter and onions together, add the potatoes and stock and simmer until soft. 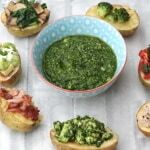 Traditionally the potatoes would have been mashed in the stock and then pushed through a sieve to create a smooth soup, but modern technology has made this step a lot easier with blenders! The soup is finished off with more butter and a little cream to give it a lovely creamy taste and texture and then topped with some chopped fresh parsley. I served my Cream of Potato Soup with a loaf of traditional brown bread. 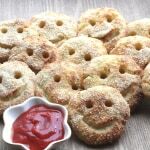 So simple but so delicious and absolutely perfect for lunch or even to serve up to the kids when they get home from school. By the 1960’s most UK households had a fridge, which meant that leftovers like this soup could be kept cold and reheated the following day. 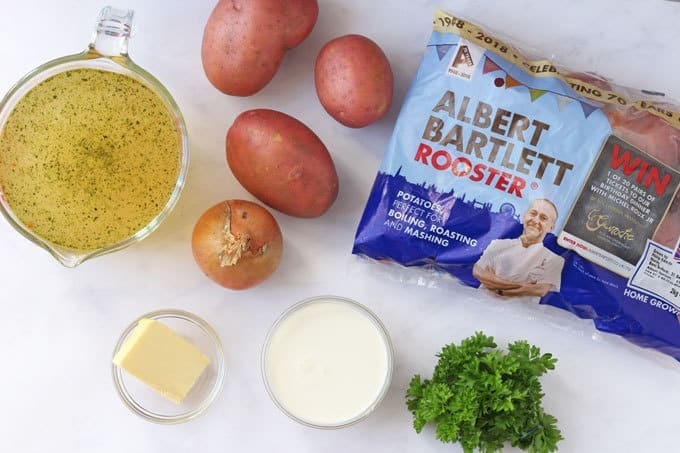 For more information about these Albert Bartlett Rooster Potatoes head over to their website, where they also have a helpful recipe section. 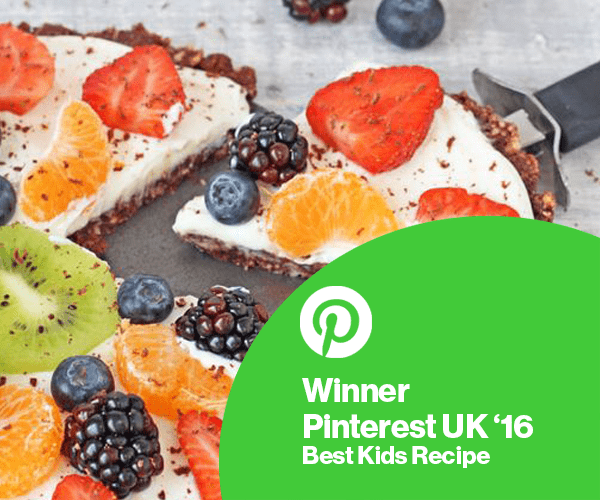 If you try this recipe then please do leave me a comment and a star rating below. You can also share your pictures with me on Instagram. I always love to see your creations! Disclosure: I have been compensated for my time spent working on this campaign with Albert Bartlett but all thoughts and opinions are honest and are my own. 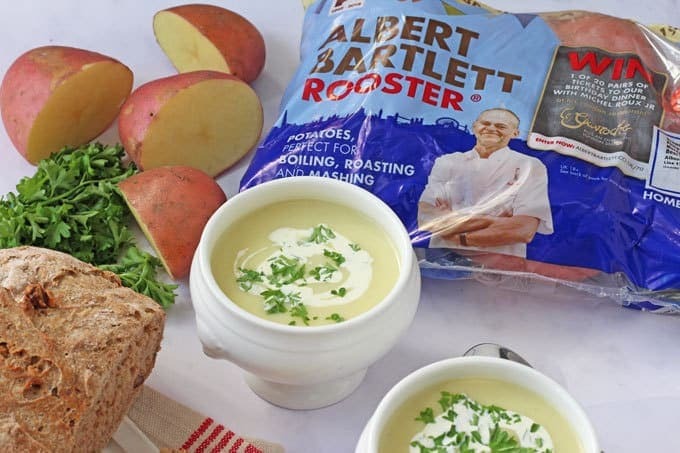 Delicious, filling and comforting Cream of Potato Soup, made with Albert Bartlett Rooster Potatoes. Add half of the butter and the onions to a large saucepan and fry for 2-3 minutes until the onions start to soften. Add the potatoes and stock, bring to the boil and simmer for 10-12 minutes until the potatoes are soft and cooked through. 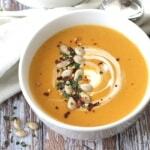 Remove from the heat and then use a stand blender or hand blender to blitz the soup until smooth. Add the cream and remainder of the butter and stir. 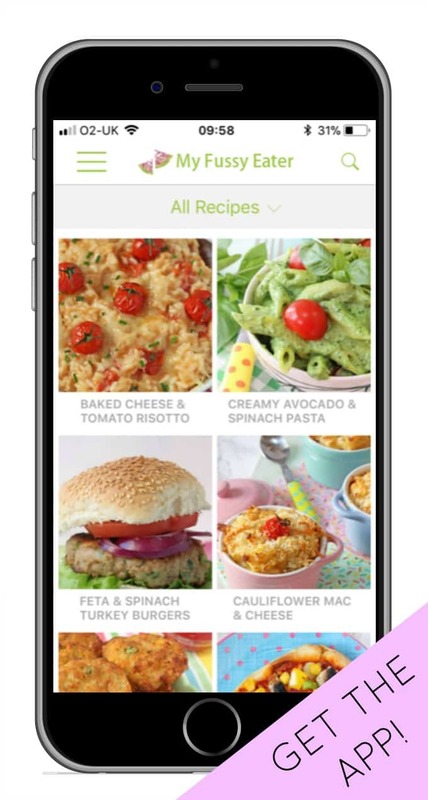 Serve immediately with some chopped parsley on top.